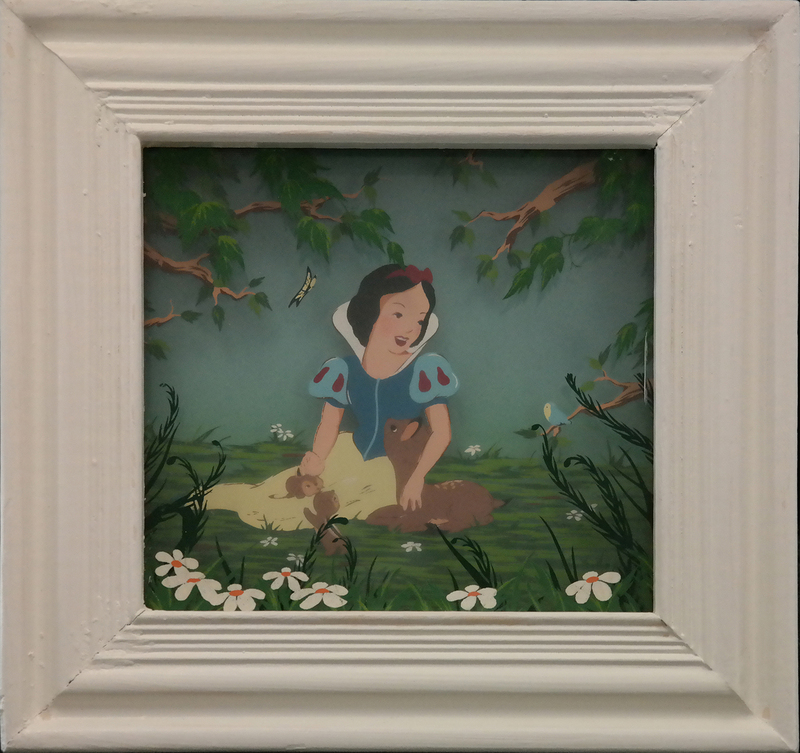 This is an original limited edition Snow White and the Seven Dwarfs multiplane painting created by the Courvoisier Galleries. 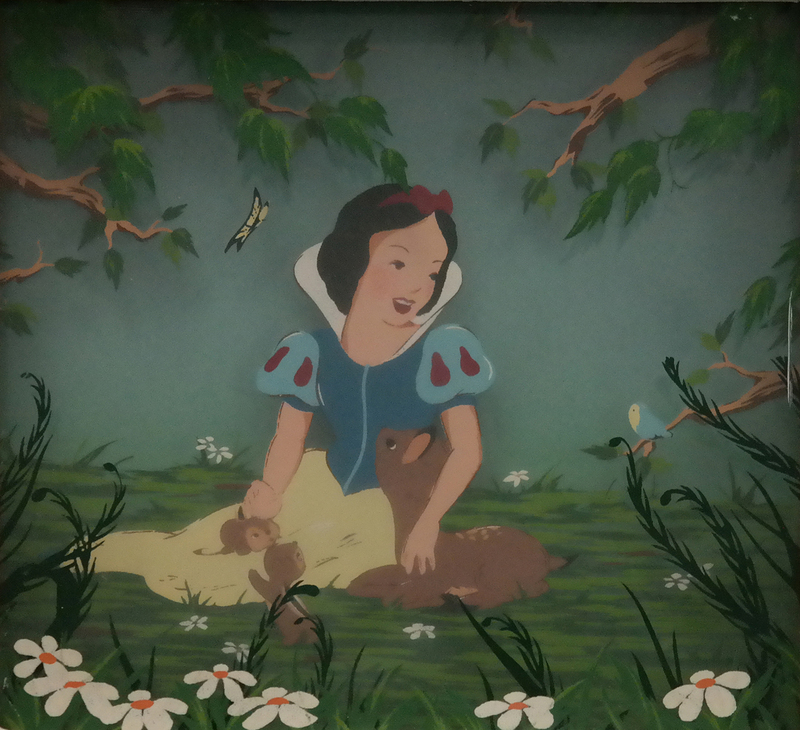 In addition to preparing and selling original animation art, Courvoisier also experimented with limited editions and specialty products based on animation techniques and featuring recreated imagery fom some of the most popular Disney films of the time. 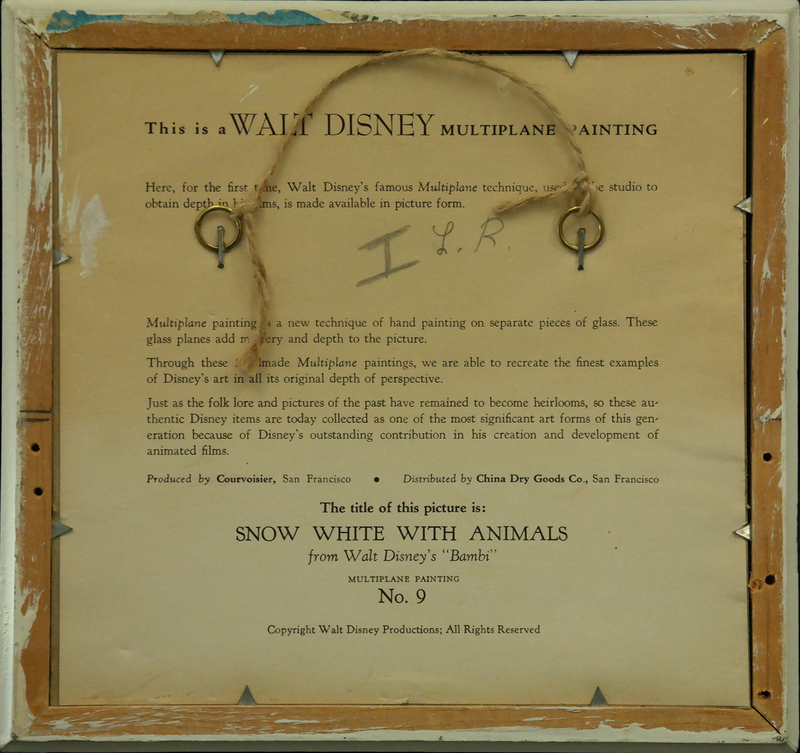 This multiplane painting was produced by Courvoisier Gallery in the 1940s as a celebration of Walt Disney Production's famous multiplane technique, and is created with hand-painted imagery on multiple layers of glass, which are stacked on top of each other and framed. The artwork comes in its original Courvoisier frame. The overall piece measures aobut 8" x 8.5" framed and is in very good condition with minimal wear to the frame from age.